Superpower Football - Half Volley: India to play Kings Cup, ISL allows Indian Coaches! 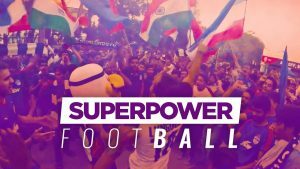 Home / Indian Football / Indian Super League / Superpower Football – Half Volley: India to play Kings Cup, ISL allows Indian Coaches! Previous FC Goa overcome Chennaiyin FC 2-1 to clinch Super Cup 2019 title! Next Jamshedpur FC launch its seventh Football School in Hill Top School!